Davis v. S. Nassau Communities Hospital, a case from the New York Court of Appeals, involved a patient who went to defendant’s emergency room for treatment for a painful medical condition. Court records indicate that she drove herself to the hospital. When she arrived and was treated by doctors, she was given a narcotic opioid-based painkiller and Ativan. Ativan is a benzodiazepine like Valium or Xanax. She was given her medication at around 11 a.m. The common side effects for Ativan are dizziness, sedation, disorientation, and weakness. An expert testifying for plaintiff said the effect of Ativan was both hypnotic and sedative. The expert also testified about Dilaudid, which was the painkiller given to patient. This medication causes impairment of the ability to perform certain activities and makes it dangerous to drive a car. The drug also contains an insert in the package, which says ambulatory patients (leaving the same day) should be cautioned about the dangers of driving. Patient was discharged from the emergency room about an hour and a half after she was given the two medications and drove herself home. On the way home, after about 20 minutes, she was involved a serious car accident in which she drove across the double yellow lines and crashed into an automobile. The plaintiff in that car accident case said patient appeared to be under the influence of drugs and in a state of disorientation at the time of the accident. The auto accident victim sued the medical center and the doctors, claiming that patient went to the ER seeking professional care and that she was given these dangerous drugs and not adequately warned about the dangers of driving home when they knew she drove herself to the hospital. At this point, defendants moved to dismiss plaintiff’s cause of action on grounds that they did not owe a duty of care to plaintiff, as they were third parties to the matter and were not the ones treated at the hospital. The trial court (which happens to be called the Supreme Court in New York State) granted the defendants’ motions and dismissed the claims. Plaintiff appealed to the intermediary court of appeals, and this court affirmed trial court’s dismissal of the case against defendants. At this point, plaintiff appealed to the highest court in the state, and the Court of Appeals agreed to hear the matter. The main issue on appeal deals with whether a duty is owed to third parties. Generally, such a duty is not owed. However, if you are in the best position to prevent such an injury, a duty may be imposed by law. Essentially, the court of appeals found that defendants gave a drug that impairs one’s ability to drive to a person they knew or should have known was driving home. This is the reason you are often asked if you have a ride home when given certain medicines at an ER. The court concluded that, by breaching their duty to warn patient, they were also liable to anyone who was a foreseeable victim to this negligence. In this case, this included other drivers on the road. However, this is difficult question, as the facts can change the result. 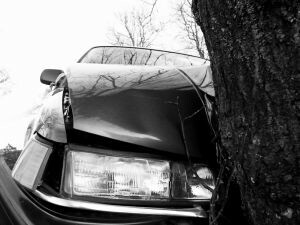 The best thing you can do is to speak with your Boston personal injury attorney about issues like this at your initial consultation.